Guys, correct me if I'm wrong, but how is it possible that this place is called 'Ma Petit Bakery'? Isn't 'Ma' the female form of of 'my' and 'petit' the male of 'little'? 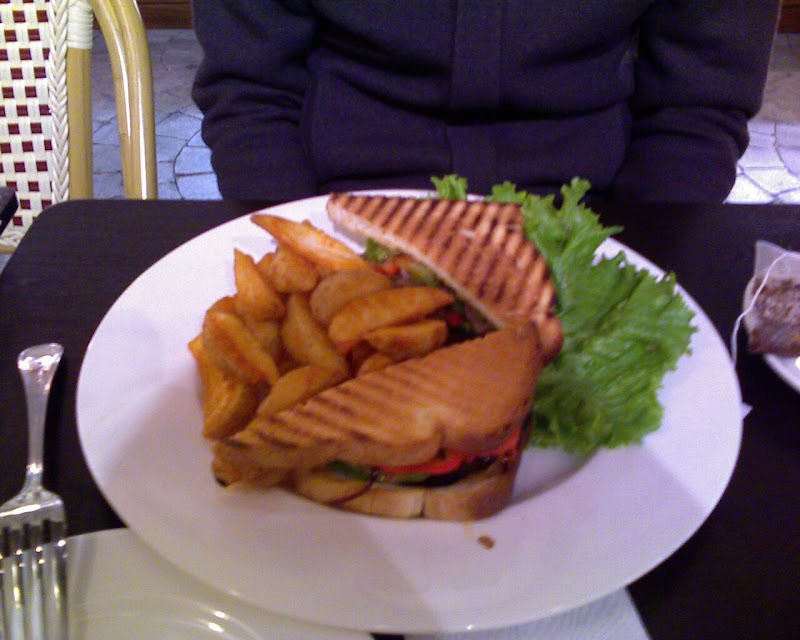 But I like their grilled veggie sandwich, clean everything and nice staff! Very unpretentious cultural mix / mess up! Like an innocent white guy with a meaningless Asian character tattoo! Cute! My husband will attest to the fact that the disagreement in gender between "Ma" and "Petit" bothers me to no end. It is as irritating as "La Café" (say WHAT?) further south on Spring. I mean, jeebus, it ain't that hard to figure out, is it ? Oh yes yes yes, La Café on Spring, bwahahahah! Don't you just love Downtown? It's LA as in "L.A." , not "La" . Regardless, yes, it should be "Ma petite." I imagine that they thought "Petit" would sound like "Puh-teet" and "Petite" would get butchered into "Puh-ti-tee" somehow. Or maybe I'm just too open-minded, and they really just got it wrong.